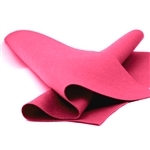 With almost 100 different colors, our wide selection of wool felt sheets is a unique collection of fun, lively shades. 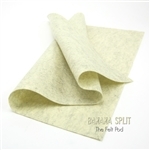 We sought to create a wool felt offering unlike any other! This is why you’ll find everything from deep solid colors to pretty pastels and heather wool shades. 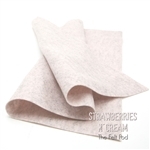 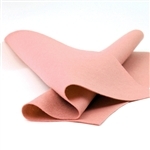 Naturally pressed, our wool felt sheets are available in a variety of sizes. 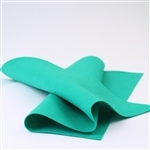 Whether you want to sample some fun colors or you’re working on a larger felt project, you’re able to tailor what size works best for your particular craft. 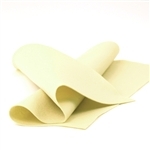 Make purses, toys, dolls, flowers, hair accessories, wreaths, and anything you can imagine! 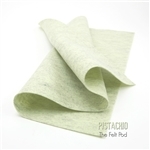 The possibilities are endless with our Merino wool felt sheets! 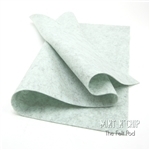 If you’re on the hunt for felt sheets that are incredibly soft & evenly dense, look no further than our Felt Pod offerings.